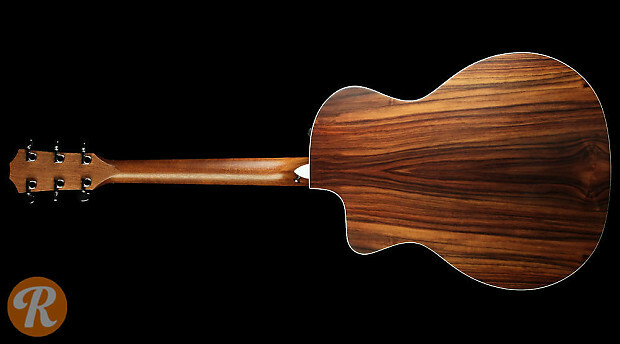 Introduced in 1994, the Grand Auditorium has earned a place as Taylor's most popular body design. 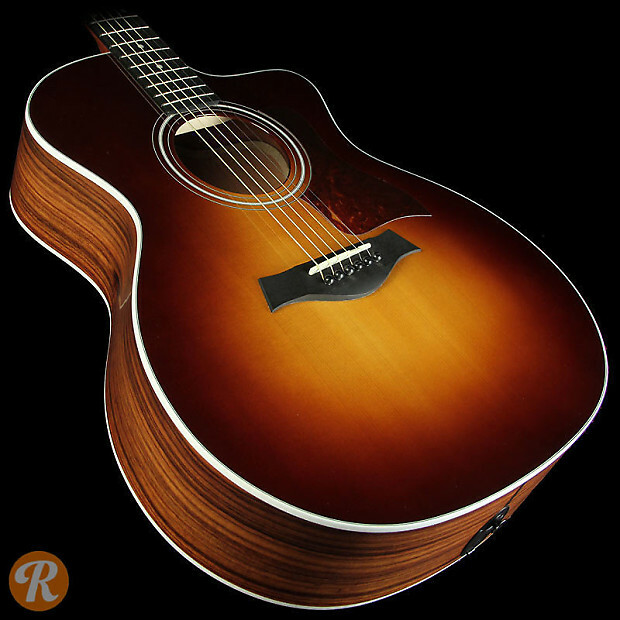 The 214ce model name indicates that this guitar is a part of the 200-series, which uses a Sitka Spruce top on Rosewood Laminate back and sides. 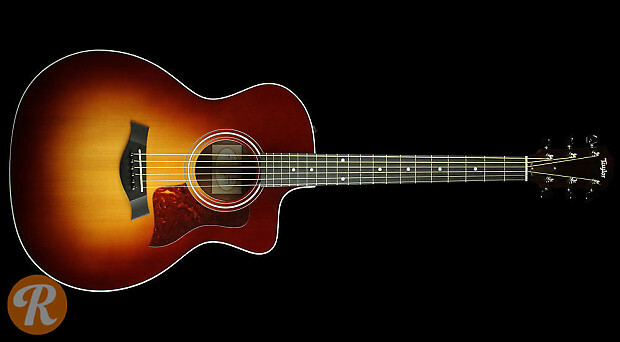 The 14 in the name labels this as a Grand Auditorium, C indicates a cutaway, and the E means that this guitar includes an onboard electronic system.